You have been a hard task master 2014 but we are looking forward to your replacement! I'm hoping this is the last post without a camera- UPS delivery tomorrow is anticipated! 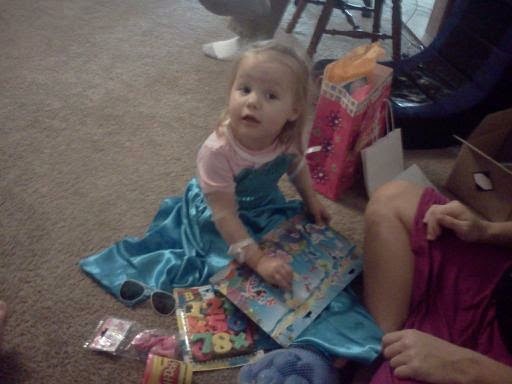 Ella was very cute and appreciative of each gift. 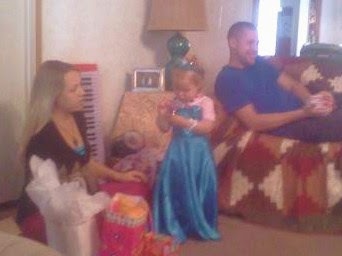 It was so much fun to watch her open them and squeal with delight. She took her new Little People right over to her castle to play. 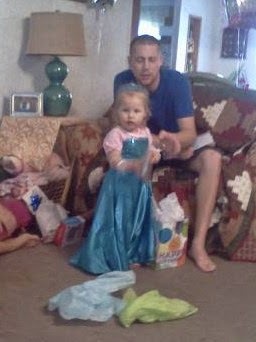 She wanted to try on or check out each new present. 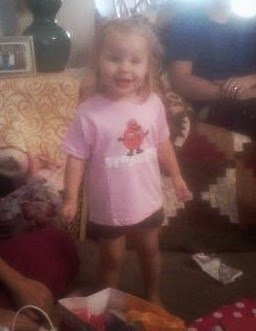 her new Syracuse University shirt from her family there! 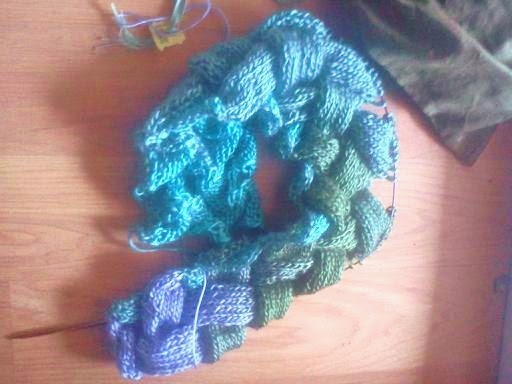 I have a new project on the needles-another entrelac blanket for Elijah-I have a month to knit this so the crush is on! I love extreme knitting! 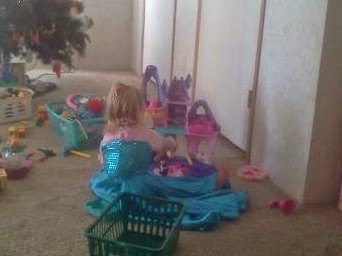 This is the promised picture of Ella with her 'castle' for Christmas. She is so cute while playing! 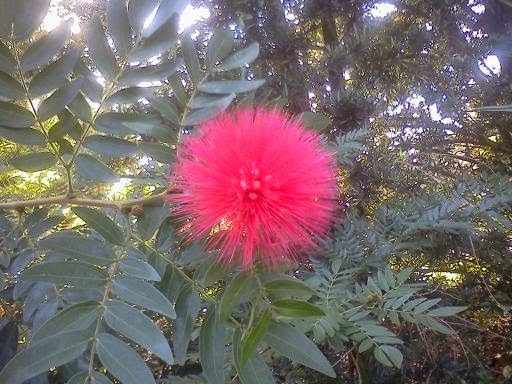 The Calliandra is in bloom! 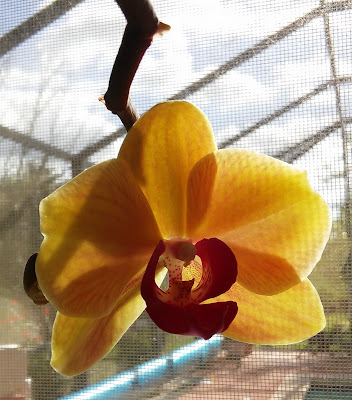 Caleb missed seeing it by a few days because it waited until the 25th to bloom; he loves this plant and I completely understand why! 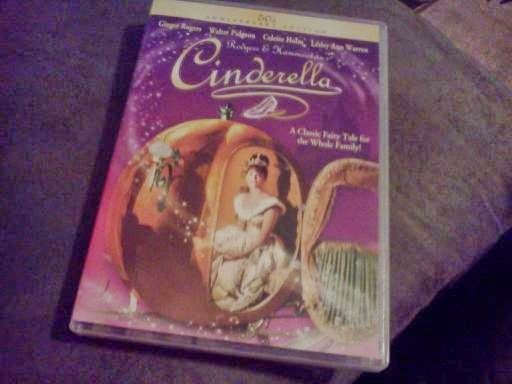 Isn't it so pretty?! 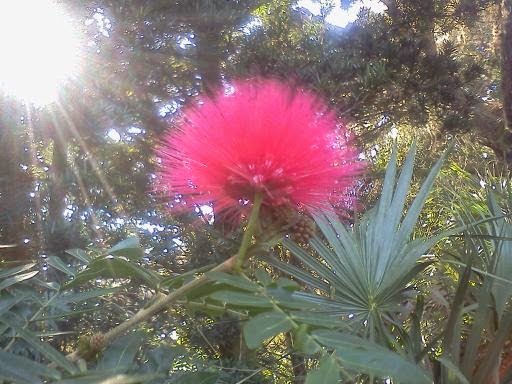 The bloom is about 4" across to give you an idea of size. 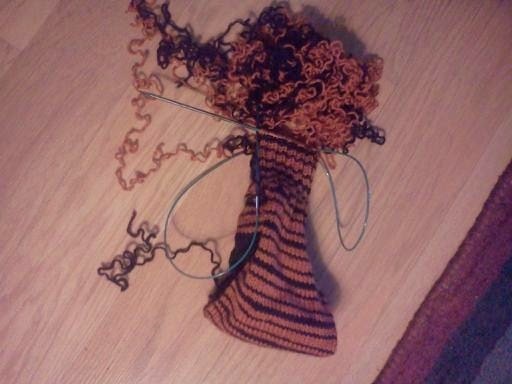 I had a little problem with my sock knitting. 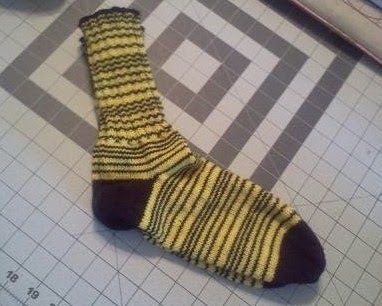 My nieces wanted a pair of sports colored socks and I almost made the deadline but instead I did something I have never done before.....I trimmed the tail after burying the end for my ta-da moment but I cut the knitting instead. A.big.hole.resulted. Have I mentioned I am having vision trouble?! I am having blurry vision and also depth problems. I will not cut another yarn tail unless it is magnified by my new lamp. I never want to do this again! 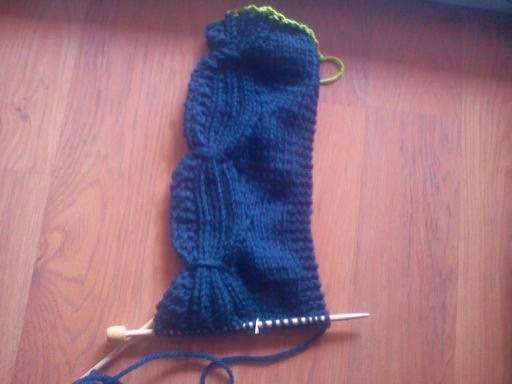 I had to undo 4" of ribbing and reknit it. Misery. 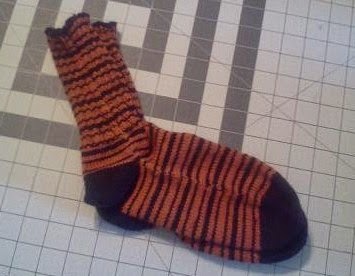 I knit another pair of boot toppers for a reward! 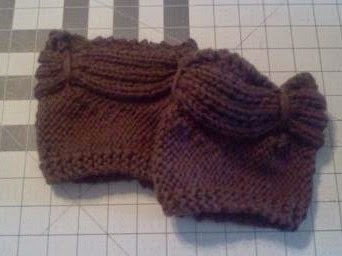 These knit up quickly with number 9 needles and chunky wool yarn! Because today is my birthday and my sons treated me to the latest Hobbit movie at a theater ...together! The daughters gifted me by keeping the babies home and giving up their Saturday! When the boys were boys, we used to go to each new showing of Lord of the Rings. We haven't made it to one Hobbit movie together but this time it was a hit! 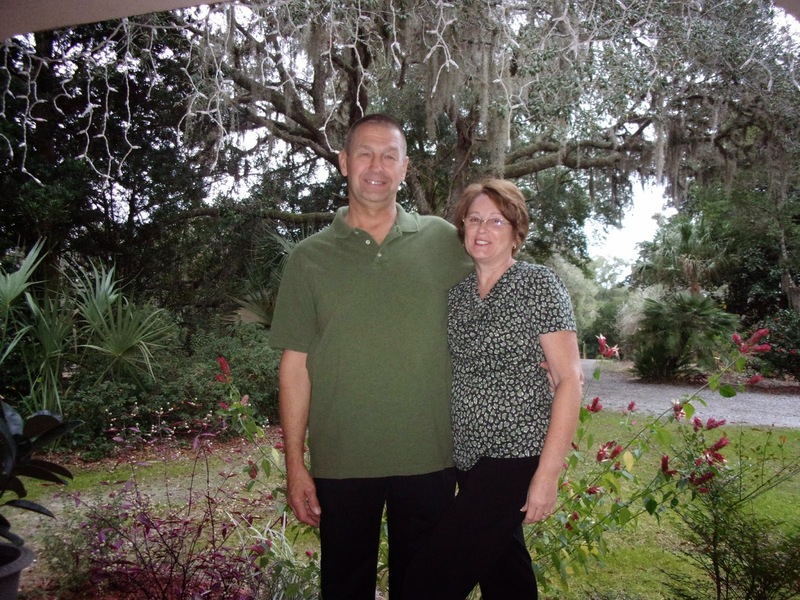 A homerun.......just wonderful to share it with them! I am ready now for a LOTR marathon on tv! Once we got home (we went to an early show) we had birthday presents and then a Christmas party! The kids got into the gift thing much better this year! Will knew just what to do after his birthday last week! 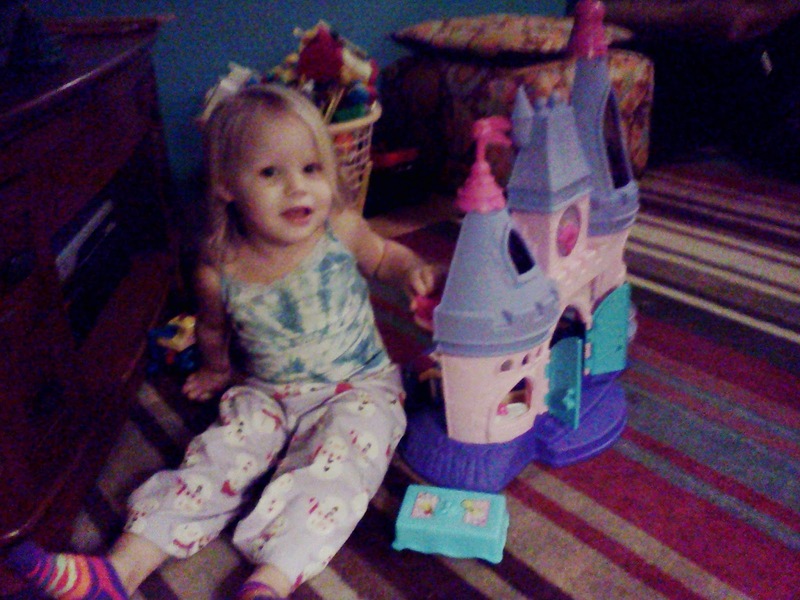 Caleb got the job of putting Ella's princess castle together.....I will get a picture of her playing with it later. so he could get his hands on the helicopter set! After a delicious dinner, we had my favorite birthday cake-angel food with strawberries and Cool Whip! So nice to hold the babies, too! Can I mention it was an utterly perfect day! If you have never tried a 'in the hoop' sewing project, this month's Creative Machine Embroidery has a very cute chapstick keychain idea! I cut out piles of coordinating fabrics with the bit of ribbon and hair elastic for a closure to assemble....you guessed it, in the hoop! so I left a hole but did not disturb the whole piece of stabilizer. I did this over and over this week! By cutting them out with pinking shears, I also cut out the curves so they require no 'clipping the curves'! This is a view of the hair elastic placement after the pocked has been basted in place. Then the top fabric goes on the whole thing right side down and it stitches leaving an opening for turning. Thankful I remembered to use my tube turners because trying to turn the first few without it was a misery! (made worse by the diminished hand strength!) I cannot tell you have many hours this tool has saved me! After poking all my corners and sewing on the button-voila! until I had enough for all the kids at church! I also have enough eyeglasses for all the ladies, too! I finished the grout on the last windowsill!!!!! When it was dried this morning, I put all the decoration back in place and smiled! The quilt is getting near the finish line! If I stop playing with other things, I will get back to it! I made a loaf of banana bread with some of our own bananas....this is an experiment in using whole wheat and and the bread machine. I must admit-it turned our yummy! This is what kept me busy today! The top and focal point of our chimney outside on the porch! I have one of the five window sills completely finished! The other four have the tile adhered but not yet grouted. The cutting of the tile is done for now! Phew! The marble tiles look great but they sure did crumble easily! Here is the cutting station! Bill did a ton of cutting for me when I wore out! decided to tweak it a bit to make these. A whole bunch of these! About a dozen I think! I made all kinds of mistakes on the first one but they are cranking out pretty easily now! I am doing a row of quilting blocks a day on the flower basket quilt. It is progressing nicely! I am outlining the flower basket blocks and adding a pretty free-form feathered wreath in the plain blocks. It gives this quilt the illusion of tradition with a bit of a modern flair. Perfectly complimentary! But the boot cuffs keep calling my name! Two pair done and I am almost done with a third pair! I Think I Can....I Think I Can't!